How Can I Afford Substance Abuse Treatment? 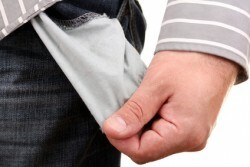 Home › Inpatient Substance Abuse Treatment › How Can I Afford Substance Abuse Treatment? Many people forgo addiction treatment because they believe they will not be able to afford it. This attitude is dangerous, and while there are many substance abuse rehab facilities that are extremely expensive of built for luxury clients, there are also many, very effective options that are affordable and within your reach. According to the Substance Abuse and Mental Health Services Administration, “Some facilities offer substance abuse treatment at no charge or a sliding fee scale based on income and other factors.” These programs are just as effective as the more expensive options but do not ask their patients to pay for unnecessary accommodations or frills, such as gourmet meals, hotel-like rooms, etc. Many insurance plans now cover substance abuse treatment. As stated by SAMHSA, while only 4% of the facilities in the country provide care that is completely free, many provide partial free care, care that is available on a sliding-fee scale, or that which is both partially free and available on a sliding scale for certain individuals. Usually, in order to be admitted to a treatment facility of this type, you will merely need to show proof of your income or some other type of proof that you cannot afford a more expensive or moderately priced program. These facilities exist all over the United States, and usually if you call ahead to a certain center, they will let you know what options they offer to patients in need. If you have insurance, your policy may cover treatment for your addiction syndrome as well as other necessary aspects of care. In 2010, the Affordable Care Act was signed by President Obama, which “includes prevention, early intervention, and treatment of mental and/or substance use disorders as an ‘essential health benefit’ (EHB) that must be covered by health plans that are offered through the Health Insurance Marketplace” (SAMHSA). This also means individuals who may not have been able to afford addiction treatment through their insurance before now can, as it is an EHB and should be available to anyone. Your physician, your friends and family members, a doctor or nurse at a free clinic, volunteers at an outreach center, or sponsors at your local support group meeting may know other ways for you to afford the type of addiction treatment you need, and it would not hurt to ask. It could be especially beneficial to get your personal physician involved, as they will know your medical history and may have recommended past clients to rehab centers in the area before. If you reach out to those around you, it will be much easier for you to find the help and the treatment you need, and you also will feel much less alone in your journey. You can even get help from others that may enable you to safely attend treatment you can afford. For example, if you ask friends to stay with you during your initial recovery, you may be able to attend less expensive outpatient care instead of residential, depending on the severity of your condition. Do You Want to Find Addiction Treatment Now? Call 1-800-895-1695 today, and we will help you find a rehab center in your area with the kind of treatment you can afford.